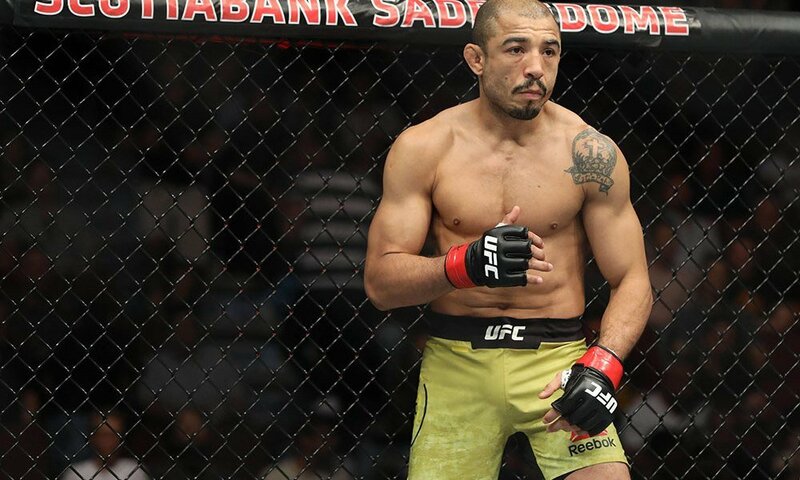 Welcome to part 2 of our Jose Aldo retrospective. You can find part 1 here. Jose sought a rematch with McGregor, but he was to go without as Conor went on to bigger things. Aldo rebounded with a convincing albeit unremarkable decision victory over Frankie Edgar at UFC 200 in July of 2016 for the interim featherweight championship, a man he already beat in 2013. As McGregor officially entered the lightweight division by capturing the championship in November of 2016, it became painfully clear he was never draining down to 145 lbs again. Aldo and the division would need to move on. McGregor was officially stripped of the UFC featherweight championship on November 26th 2016, promoting interim champ Aldo to undisputed champion. He was king once more, but illegitimate and without his desired vindication. What would it take to reclaim one’s reputation? Enter Max “Blessed” Holloway. At 25 years of age, the Hawaiian kickboxer had shaken off some early losses in the UFC to string together 10 victories inside the octagon when he met Jose Aldo at UFC 212 in June of 2017. 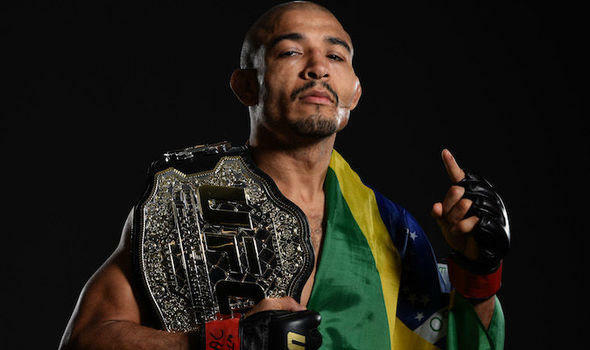 Like Aldo at his peak, Holloway was a phenom, the promised future of the featherweight division. Aldo’s homeland of Brazil played host to this generational clash. This fight was important, not just for Aldo’s legacy and Holloway’s future, but for the idealised evolution of a sport. Things started well for Aldo. He hurt Max in the first round and looked as ferocious as ever. 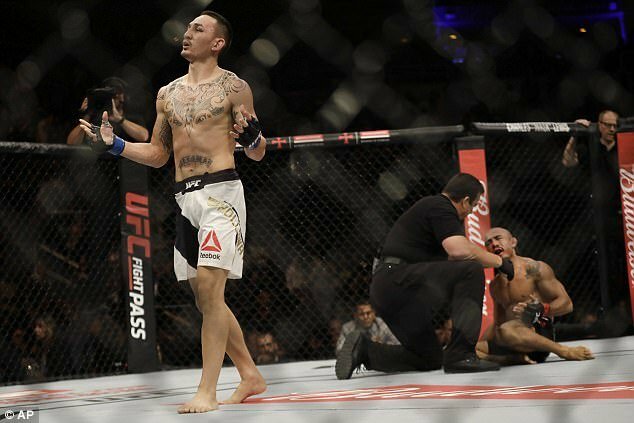 As the fight progressed however, Holloway found his groove. Eventually his grinding pace took over. “Blessed” chipped away at the champion with his sheer volume of punches. Aldo slowed down, each blow pulling him further away from what was once his. In the third round Holloway landed four consecutive punches, dropping Junior. Max pounced on Jose, finishing him at 4:13 in the third round. It was over, Holloway was the real deal, and Aldo was old news. Thanks to an injury to Frankie Edgar, Aldo was granted a rematch in December of the same year. It proved fruitless; the beating was worse. Holloway put a stamp on his rivalry with Aldo, demonstrating the painful truth we all know: the only undefeated person in this game is father time, and he waits for no man. Aldo’s reign is over, Max Holloway is the new king, a prototypical volume striker like nothing we have ever seen in MMA. At only 32 years old and after two brutal stoppages over top contenders, Aldo’s days as a top flight fighter are clearly not over. However, if his claims are true and he wouldn’t accept a title fight if it were offered – which with Holloway as champ is unlikely anyway – then his days as king are truly done. 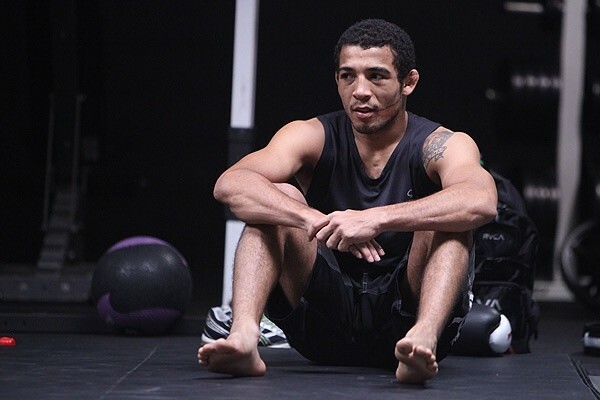 Jose Aldo was one of the first true stars in the lighter weight divisions. Thanks to his crowd pleasing acumen for violence, he was a popular force despite being “one of the little guys” especially in Brazil. With pressure to perform and justify his weight class’ existence, he put on clinic after clinic, becoming one of the chief reasons the lighter divisions are so healthy today. This is especially true in his native Brazil. To put it into perspective, at the weigh-ins for last week’s event, the crowd chanted “Uh Vai Morrer” at Aldo’s opponent, Renato Moicano, who is also Brazilian. The chant, meaning “you’re going to die”, is almost exclusively reserved for foreigners taking on Brazilian fighters. The crowd didn’t care, the “King of Rio” was in the building. Say what you will about Conor McGregor, he has taken the sport to another level. Thanks to Aldo, McGregor, being a smaller fighter, had a convincing and legitimate foil with which to launch himself into the mainstream, in turn increasing public appeal of the UFC and mixed martial arts as a whole. But regardless of progressing the sport and leaving a mark, Jose Aldo was simply a bad dude. The boogeyman at 145 lbs for so long, he was untouchable. For the better part of a decade he produced blistering finishes and leg kicking clinics. If you need reminding of what an utter savage Jose Aldo is, go back and watch his second fight with Chad Mendes in 2014. Things change, sports progress, and men grow old. 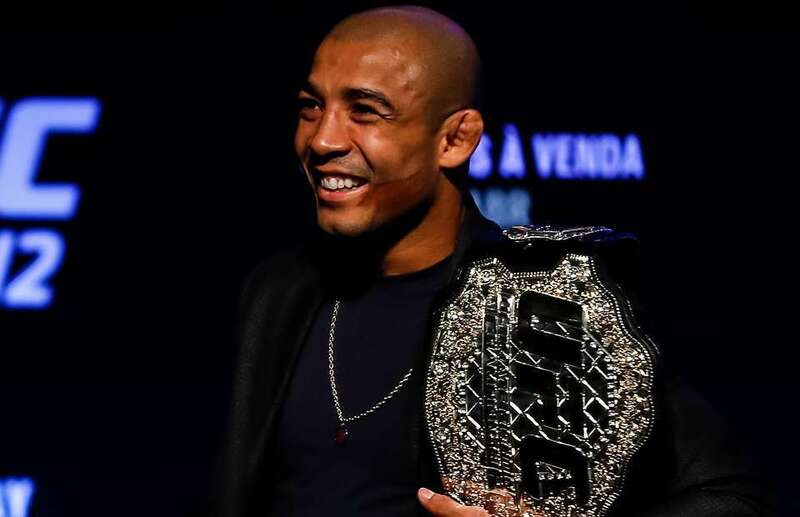 Jose Aldo’s time is over, or nearly over; two more in his beloved Brazil and he’s done. He had a bad thirteen seconds in 2015, but he’s earned his spot in history, and now he wants to have one last year. I hope it’s a good one. Images courtesy of mmajunkie.com, dailymail.co.uk, sherdog.com, express.co.uk and givemesport.com.